We can give Subset Games a bit of freedom with how long they take to make new titles, despite being almost 7 years old and having Faster Than Light (FTL) under their belt it’s still primarily a two-person team. Granted we’ve had updates, improvements and definitive editions of FTL but I echoed the community in begging for something new, not more. After 4 years in development they poked their heads out of the digital trenches with a new title Into The Breach. 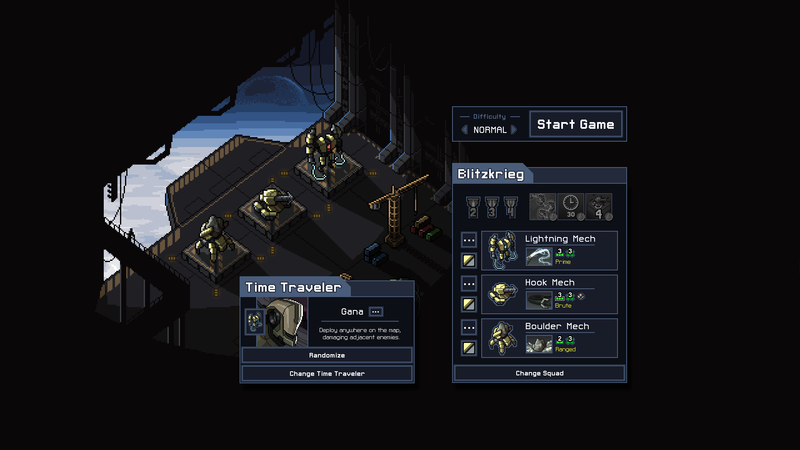 I downloaded it onto my hard drive immediately and tried to forget how woefully inexperienced I was at FTL. I’ll make this clear now, I love the game. If you are reading this just to get my personal approval to buy a game then you’ve got it, go buy the damn game. However, should you want a bit more then keep reading and I am sure you will be all the more convinced. 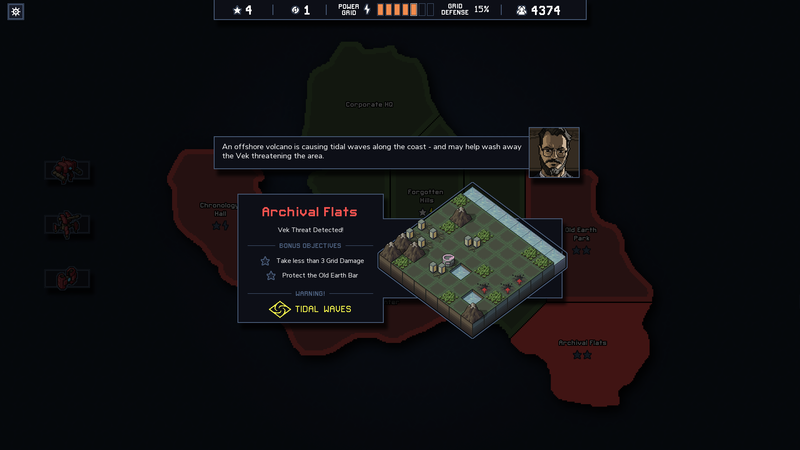 Into The Breach is a turn based city defence game where you control a set of mechs controlled by time travellers who are desperate to save Earth from underground insectoid creatures called The Vek. As it stands humanity is on the fringe of extinction and what you are trying to protect could be the salvation for a future your people never had. It is the hope of these time travellers (Rift Walkers) that they can save humanity before it crumbles to dust. This is why your Mechs are so important! Tanks and missiles are nothing against bugs than to claw, web, shoot, sash and destroy. That’s something only future tech has a chance to solve. Subset also continue with their style of gameplay, seemingly simple but technically complicated. The turn-based battles are similar to the Advance Wars franchise but with more freedom to move around and much more interesting attack mechanics. The Vek will always make it clear what they are about to do and you are simply delaying their onslaught and protecting key sites until a time runs out. More often than not you are severely overwhelmed but that’s where the game gets clever. First there is a fun mechanic I like to call… Billiards. Using a “push” effect of various attacks you can move enemies preventing them from attacking accurately or smack them against each other like… BILLIARD BALLS. You can also throw them into water, killing them instantly, or launch them into mines. The randomly generated map obviously changes what terrain is at your disposal, but it is entertaining every time. There are many more unique and exciting attack types, but you get the general idea. It’s new, it’s fun and it requires thought. The penultimate goal is to save a particular island (Which contains a variety of sub battle maps) by defeating some hyper powered Vek. Once done you move onto the next island, then the next and so on until the earth is saved. As with FTL it sounds simple but yet again it really isn’t. Each battle map has unique rewards, these rewards can only be achieved via particular tasks, you can only complete so many maps before Vek Prime pokes it’s head from beneath the earth and even then there is no guarantee you will succeed. You are constantly balancing every decision and that’s something that sets Into The Breach apart from FTL. The decisions are yours and there is little you can blame on a random number generator, likely a developed trait Subset Games wanted to achieve. Another unique feature I enjoyed was the time travel protocol that occurs when everything goes FOBAR. Because you are likely to fail (it is made by Subset after all) there is a generous choice to send one of your pilots back to command the next mech. Since each pilot can have a particular trait or bonus powers you can continuously improve after each playthrough taking the sting away from defeat. That is not to say the pilot cannot be killed, it does happen, but at very least you can calculate not just your current game but future games by allowing Captain McKIckAss to remain alive for the next quantum leap. It’s not just the pilot there are achievements to complete with particular mechs which in turn provide you with customisation, colour schemes, weapons, new pilots and I’ve barely even scratched the surface. This does feel like the new ship styles in FTL but evolved, there was never really an aesthetic option when playing FTL and knowing I can choose colour schemes once I’ve completed particular tasks/islands/ending is strangely satisfying and will keep those 100% gamers busy for hundreds of hours. At this point I think about what I don’t like about the game, things that have bugged me and I would love to see improvement on. To be honest I am struggling to spot a flaw. I tweeted to Subset that they have bottled lightening twice and they really have! The gameplay is great, the music is complimentary, the graphics are nostalgic, new mechanics, great reputation from the creators and a very reasonable price… What’s not to love? The worst thing I can say is the game is just as frustrating as FTL but that’s part of it’s charm. There is no gratification in completing an easy game. Arguably there are a few too many familiar properties with FTL but it’s not a clone more like a spiritual shift into a new body. 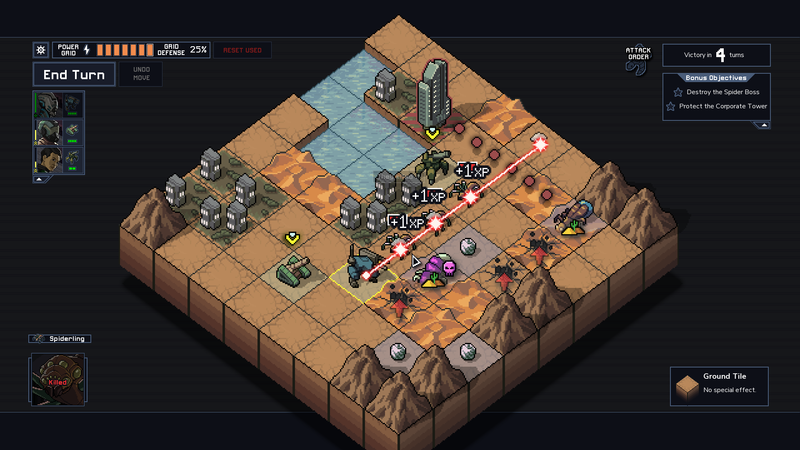 I suppose FTL game is Rift Walking into a new Into The Breach mech. I only hope that is a metaphor, I hate bugs. 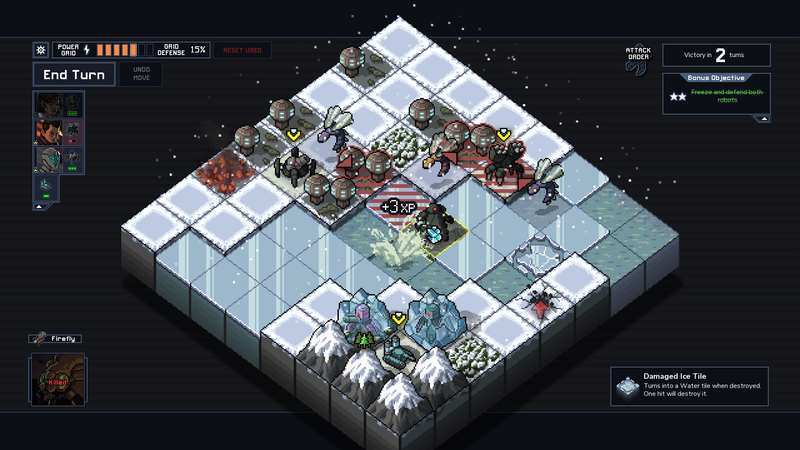 Overall Into The Breach proves that you can make a familiar game without losing it’s own uniqueness. Perhaps that will continue be to the Subset style, it’s hard to be sure. 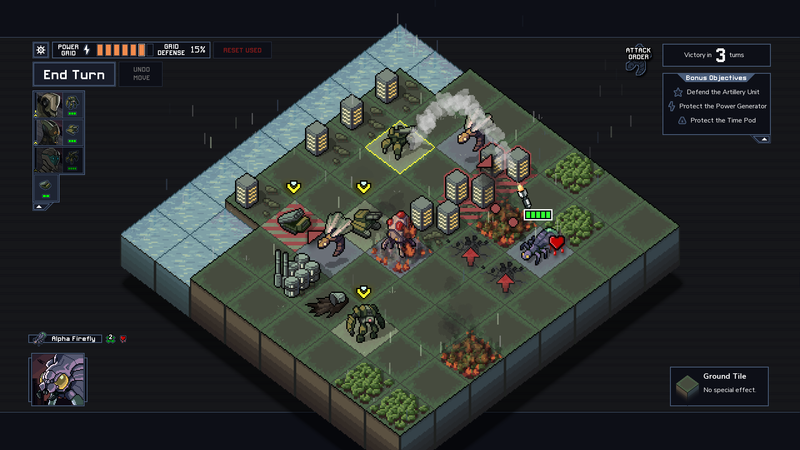 Regardless of nostalgia Into The Breach is innovative, clever and incredibly challenging which will keep you busy for weeks at a time but with a lingering paranoia towards insects. Buy Into The Breach through Humble Bundle and, if you order before March 6th you'll get a FREE Steam key for FTL: Faster Than Light!